How to find the best mortgage broker in Ottawa - Canadian Mortgages Inc. When you want to take out a mortgage, your first stop will most likely be your local bank branch. While there’s nothing wrong with it being your first stop, it shouldn’t be your only stop. If you’re doing that, you’re potentially leaving thousands of dollars on the table in interest savings. That’s where a mortgage broker in Ottawa can come in handy. A mortgage broker acts on behalf of you, the borrower, who’s seeking mortgage financing for the purchase of a home, or to renew or refinance your mortgage. Your broker plays a vital role, helping facilitate the mortgage procedure and providing home financing options best suited for you. When you’re under the gun on a tight closing deadline, having the right mortgage broker helps ensure the process goes smoothly. You’ll want to make sure you’re working with an experienced and competent mortgage broker in Ottawa. 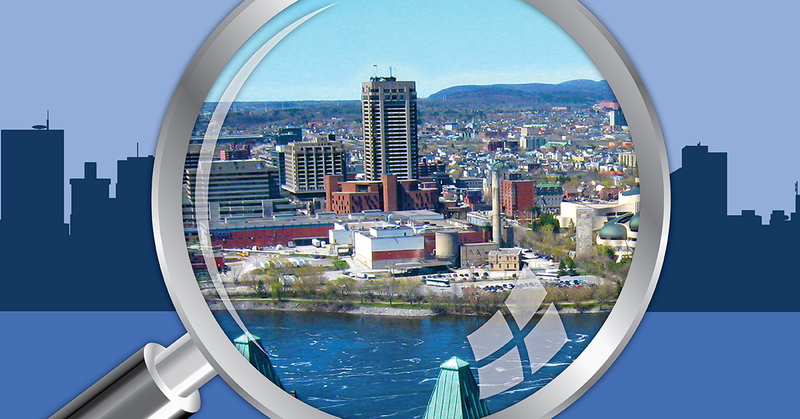 Ottawa is a hot real estate market. It was recently named by MoneySense as one of the top cities in Canada to live in. And with good reason. With an average household income of $114,275 and an average value of primary real estate of $510,363, it remains an affordable alternative for many of those priced out of the Toronto real estate market. Your mortgage broker in Ottawa will be looking after your overall mortgage transaction from beginning to end and request all the needed documents from you along the way. Once your broker submits your documents to the lender, the underwriting starts. This is when the lender may request further documents for you. Your broker will keep you in the loop help facilitate the process. There are many mortgage lending options to choose from in Canada. Of course, there are the big banks and credit unions. These are big brands that most of us recognize like TD Bank, Scotiabank and CIBC, but there are also lenders that deal exclusively with brokers. These lenders are referred to as monoline lenders because they operate in one line of business, mortgages. To be clear, brokers also work with big banks—CMI works very closely with TD and Scotiabank for instance—but they also have access to other lending solutions such as trust companies, private mortgages, and other monoline lenders. The primary reason most Ottawa residents choose to work with a mortgage is broker is access. Mortgages brokers in Ottawa have access to a myriad of mortgage solutions that big banks simply do not. Private mortgages are one example of this. With the rise in mortgage restrictions across Canada, people have been searching for creative ways to solve their financing needs. And many are turning to private financing, which is simply a home loan offered by an individual or company other than a bank or traditional finance provider. A second mortgage is a great tool for consolidating debt, funding renovations, providing working capital, accessing investment funds, or a bridge loan. Also, home equity lines of credit (HELOCs) are another popular mortgage product residents of Ottawa are exploring. Given the overall year-over-year rise in real estate prices in Ottawa, residents have seen their equity increase at a rate not experienced in decades here in the capital city. As such, many are exploring ways to access that capital through home equity lines of credit. You can typically access up to 80% of your current equity in your home. Your home equity is estimated by subtracting the mortgage liability from your home’s market value. The mortgage industry is constantly changing. For that reason you want to work with an experienced broker who knows all the ins and outs of mortgages, so you can choose the best mortgage product suited for you. A good broker will take the time to explain the inner workings of each mortgage product you’re considering, so you can make a decision as an informed consumer. This is crucial since brokers may be compensated differently by each lender. You wouldn’t want your broker to choose the mortgage that offers the best commission, but isn’t best suited for you. How detail oriented your broker is, is a good way to find the mortgage broker in Ottawa that’s the right fit for you. Your broker should be asking plenty of questions about your financial situation and long-term goals. For example, if you’d like to be mortgage-free sooner, then your broker should recommend different products versus if you’re looking for the lowest mortgage payment. In these two instances, the mortgage product recommendations would likely differ a lot. When doing the initial meeting with a mortgage broker in Ottawa, treat it like a job interview. Come prepared with a list of questions. Can you provide references from satisfied clients? What are the typical closing times for a deal similar to mine? How many mortgages have you funded in the last year? Walk me through the typical mortgage application process. What requirements do you have when applying for a mortgage? How can I improve my financial situation to be more attractive to lenders? Many homeowners who have used the services of a mortgage broker in Ottawa and elsewhere in Canada emphasized the importance of being educated about their various mortgage options, considerations and any changes coming down the pipeline. A mortgage broker in Ottawa plays a key role in walking you through the steps leading up to the mortgage commitment and choosing the mortgage that’s best suited for you right now and in the future. A good mortgage broker in Ottawa may be able to help you if your credit score is tarnished. He can outline the steps you can take to get your credit in better standing in the coming months to help you qualify for more favourable mortgage options with lenders. The bottom line is it’s important to be informed and do your own due diligence. Working alongside an experienced broker, you can see what’s out there that’s best suited for you. Don’t be shy about asking questions because this is likely the single biggest financial transaction of your lifetime.